We have broken the vicious circle of anticommunism in the post-Yugoslav context. What follows is a slightly longer piece on the campaign to give you a a sense of the historic results! As you can imagine, we are more than happy to announce such an amazing result of the election! All the commentators say the ULC was the biggest surprise of the election. But the path was difficult, the ULC was from early on marginalised. What follows is a more general overview of the electoral campaign. The context of the irregular elections is, as the name suggests, of irregular and extraordinary character. After years of the deepening capitalist crisis, austerity measures and intensified privatization policies (in the last months, several major companies in good standing, like Helios and Mercator, have been sold off cheaply, but the future list of privatizations is longer still), and last year’s uprisings, the constant fractures within the ruling coalition forced early elections. The decision to call elections in the middle of the summer, put all the new political powers, the United Left Coalition, but also the Pirate Party and others, under great pressure: How to organize the electoral campaign in one month, with very modest financial resources (crowd-sourcing campaign), a small local party infrastructure, and with an extremely biased establishment media giving outsiders few opportunities to appear in public? The establishment media usually gave the ULC space only in the debates with other extra-parliamentary parties. Above all, the elections were set in the summer time, when many leave for their short holidays, or set their mind on the World Cup. 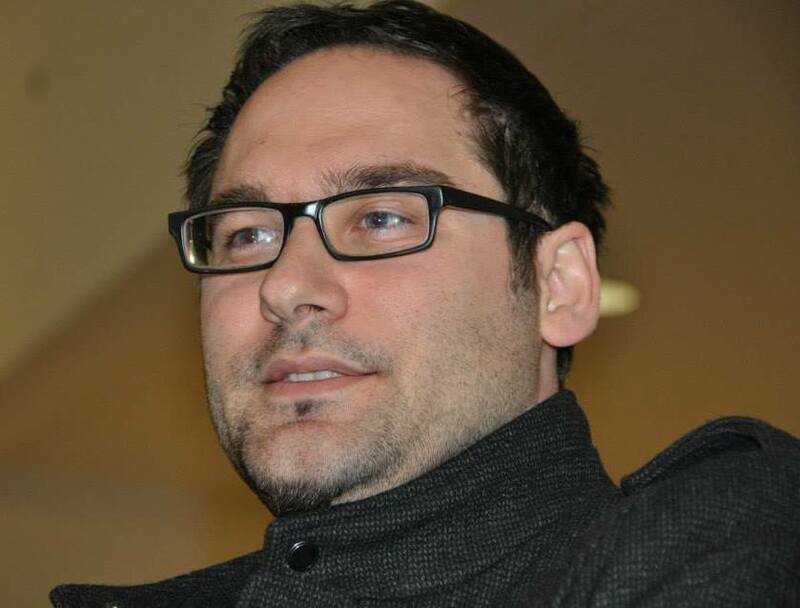 However, we were determined not to simply follow media and identity politics, but to set out on a grassroots campaign that focused on numerous local activities, reaching out to some local activists and sympathisers of the United Left, talking face-to-face, organising presentations all across Slovenia in order to establish a local basis, on which we build on in the future. In this respect, the process was extremely important and precious, we managed to spread outside Ljubljana, Maribor, and a few urban milieus, where we had gained some support already in the elections for the European Parliament in late May (5.5%). 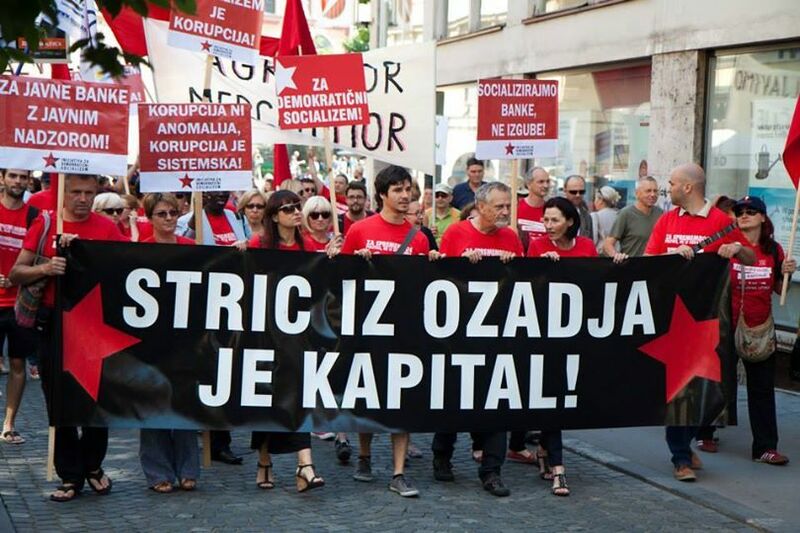 As the only political force with a program of concrete proposals for an exit from the crisis and for implementing new organisational forms (cooperatives, workers’ management, writing off the debt, democratic control of the banks and the big state corporations), our campaign pushed for one major topic: the end of privatisation. The circumstances under which Mercator was bought by foreign company Agrokor during the last weeks of the campaign, showed two things: first that only the ULC mobilized critical awareness around the topic, and, second, that without political pressure within formal politics, it is extremely difficult to stop privatisation. Our support in the public opinion polls constantly measured around 2-2.5%, which brought us behind all the big parliamentary parties, on spot 8, and also behind our initial goal of the 4% parliamentary threshold. Also and, most notably, there was another major new political party, of centrist and seemingly liberal provenance that took the position of high moralism and the rule of law (against corruption); it is called the Party of Miro Cerar, himself a lawyer, already present in legal work for Parliament. Somehow surprisingly this party was polling on around 35% of votes and was presented by all media as a total hit, soon becoming number one party, which mirrored discontent with the official parties and corruption. Despite its high legalist and moralist stance, the chief protagonist got “caught” during the last week of campaigning speaking negatively about same-gender marriage, right of abortion and some other issues. This unveiled a more conservative side of the “high morality”, which occupied the space of the old Left and Right. The new centrist party presented us with another tough challenge: how to position ourselves not only as the voice of discontent with the existing political parties, but as being the voice against the more general economic order and presenting a more radical alternative that goes beyond “privatisation with a moral face and transparency”? Apart from the continuation of the work in the grassroots, and reports and interviews in local and other media, the ULC received one major opportunity in the last week of our campaign. One of the Party’s most visible coordinators, Luka Mesec, was invited into the key final debate with all the major parties on the commercial, most viewed POP TV. The presentation of arguments, new political awareness and a critical voice of the ULC stunned the representatives of the established parties, and marked a surprising turn to more than 4% of electoral prognosis. In the very last days of the campaign, many public figures, from intellectuals and activists to social groups and musicians, embraced the United Left. Conclusion: electoral results today, or what the vote of the ULC stands for? Seven points on the local elections in B ..
PLAN C: Which plan for the Left governme ..
Let us sum up the results. The votes from abroad and per post have not counted, but the large majority is here: the winner of the elections is the party of Miro Cerar (34.6%), the Slovenian Democrats are second (20.7%), Desus, a pensioner party, is in third (10.2%), and then the fourth spot is taken by the biggest surprise of the elections – the ULC (6%), and the Social democrats are on fifth spot, following by a narrow margin with just above 5.9%. Siixth place was taken by the Catholic party New Slovenia (5.5%), and the last to pass the threshold was the former Prime Minister’s party, the Alliance of Alenka Bratušek (4.3%). What we can already say is that the ULC was the party of choice for many that voted for the first time, and for many of those who had voted before from the principle of the “lesser evil”. Thus, the vote for the ULC went beyond the exclusive dominant binary: either, pro Janša (the former, prime minister, president of Slovenian Democrats, at the moment in prison due to corruption), or against Janša. This was the vote for the critical voice that altogether rejects the neoliberal resolution of the crisis. But this is only the start. We have opened the doors that open to the future that needs to be re-built and taken away from neoliberal trends. Let us conclude with the call for ecological and democratic socialism, for the victories and connections of the new Left in Slovenia, Europe, and around the globe! Gal Kirn currently lives in Berlin,where he is a postdoctoral fellow in history of media of Alexander von Humboldt Foundation. In his hometown of Ljubljana, Slovenia, he is a member of the Initiative of Democratic Socialism and Workers’-Punks’ University. He co-edited the book Encountering Althusser (Bloomsbury, 2013) and Surfing the Black. Transgressive Moments in Yugoslav Cinema (Jan van Eyck Academie, 2012) and edited the publication Post-Fordism and Its Discontents (JvEAcademie, 2010).